Another Case Solved is a universal Windows app for Windows Phone 8 and Windows 8 devices. 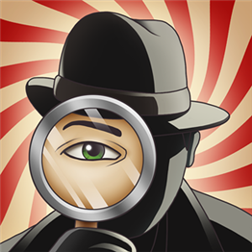 Another Case Solved is an entertaining and challenging game by Puzzle Craft that lets you play the role of a Holmesian detective and try to solve the mystery of a curious case of the city’s candy conspiracy. You have to figure out what is behind the candy craze by gathering clues, interviewing witnesses and solve a series of mind-bending clues. Create your own personalized detective and customize their look with outfits, props, and more. Match clues, identify suspects, track down hidden items – Another Case Solved features multiple styles of gameplay to keep detectives on their toes. Tons of story-driven cases to keep you hooked into this sugary sweet mystery.